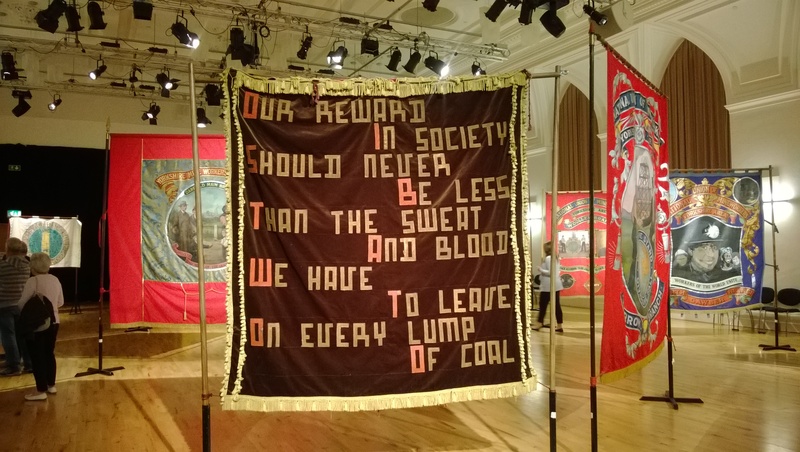 The Civic, Barnsley has just opened up the first of a number of events that they are holding this Autumn, which looks back at the 1984/85 Miner’s Strikes. 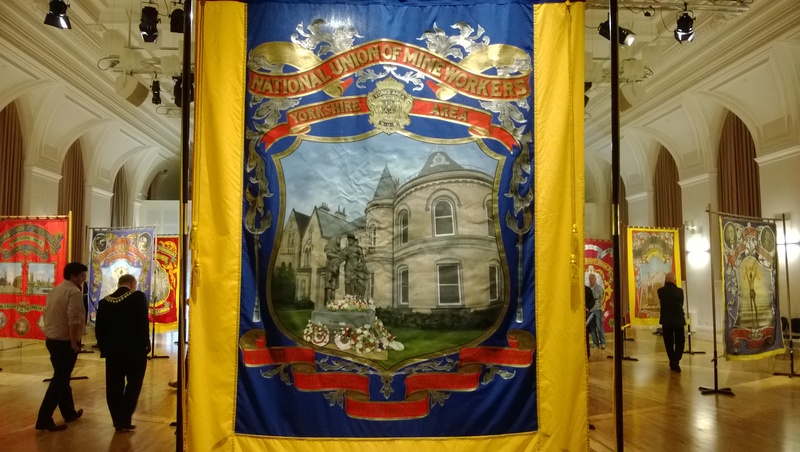 This fantastic exhibition of NUM Banners is a project in partnership with both the NUM Headquarters on Victoria Road and Barnsley Museums, who also have a year long programme of events exploring the Miner’s Strikes running at Experience Barnsley Museum. 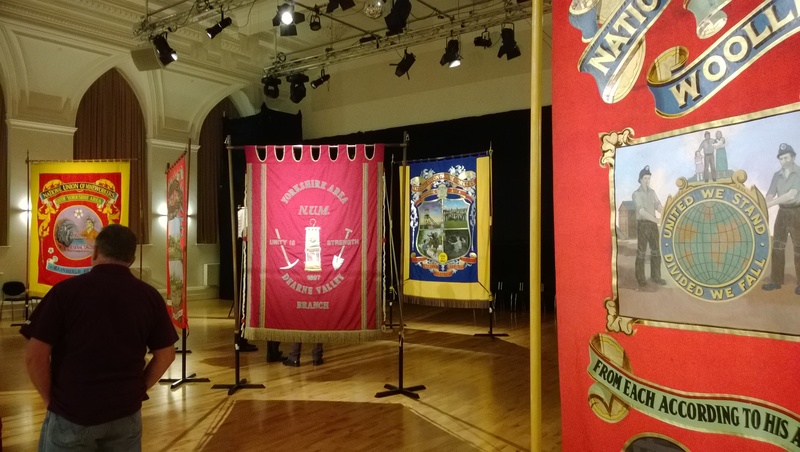 The banners are exhibited in the theatre space and the lighting in there creates the kind of atmosphere that really does the banners proud, and it really is quite dramatic seeing them all hung together. 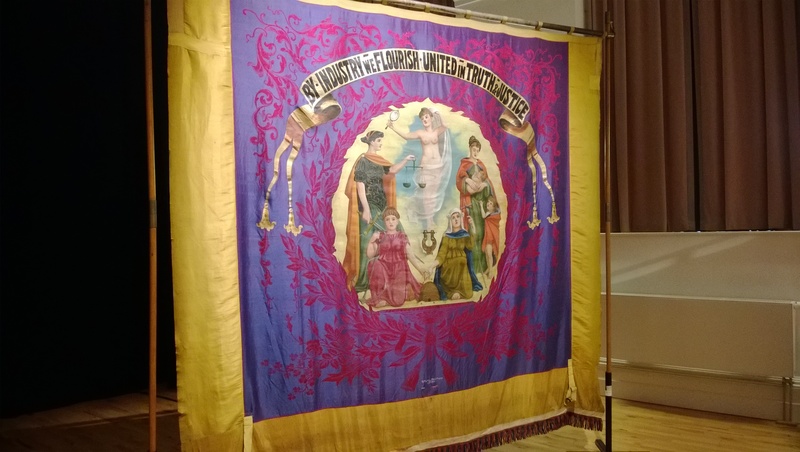 My poor photographs definitely do not do them justice at all. 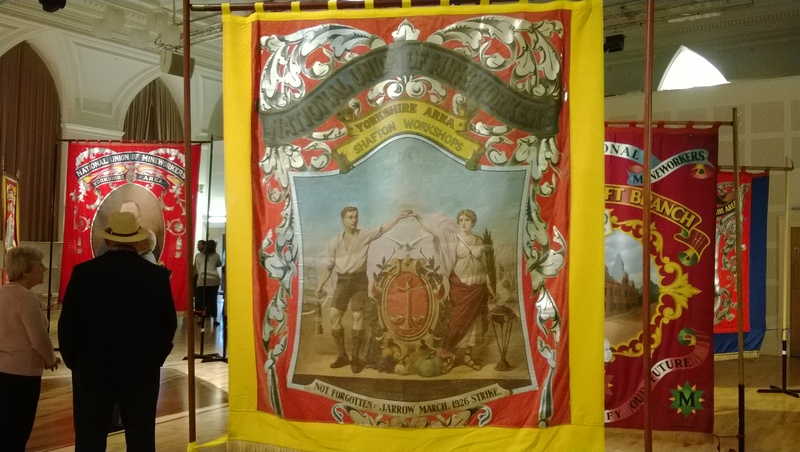 The banners span well over a hundred years, with one banner dating as far back as far back as the 1890s. 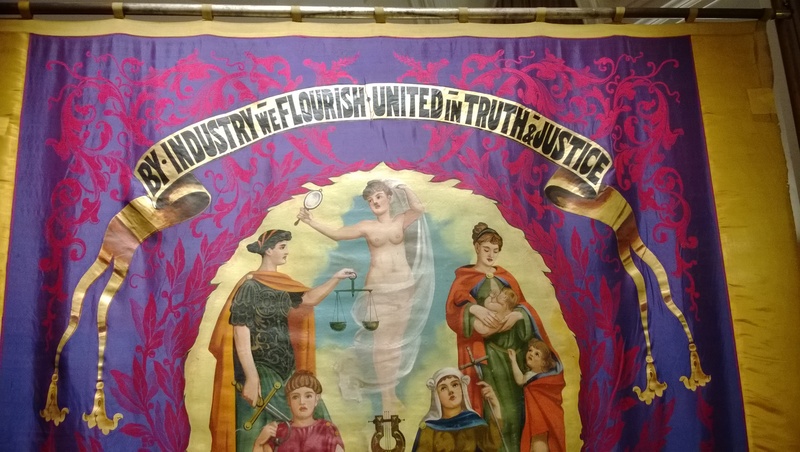 It even uses the phrase ‘Truth and Justice’, which of course still being used today, in relation to The Orgreave Truth and Justice Campaign. 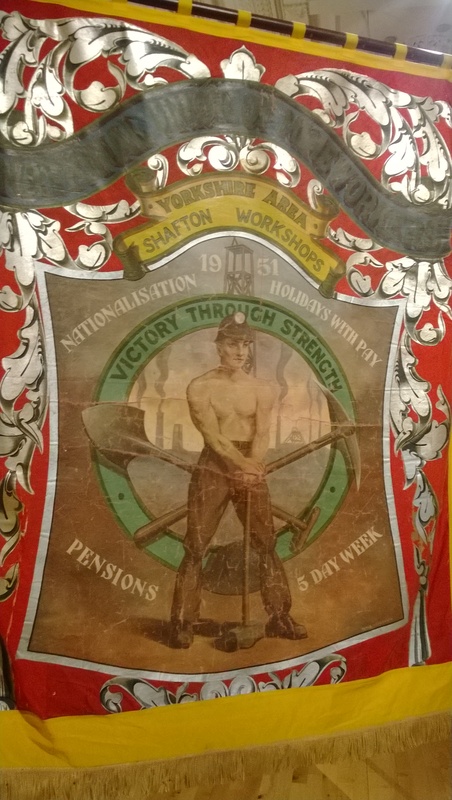 It’s quite interesting to see the different methods used in making the banners and how that changes over the years, from paintings, printing, tapestry, it even looks like flocking is used on one of them. 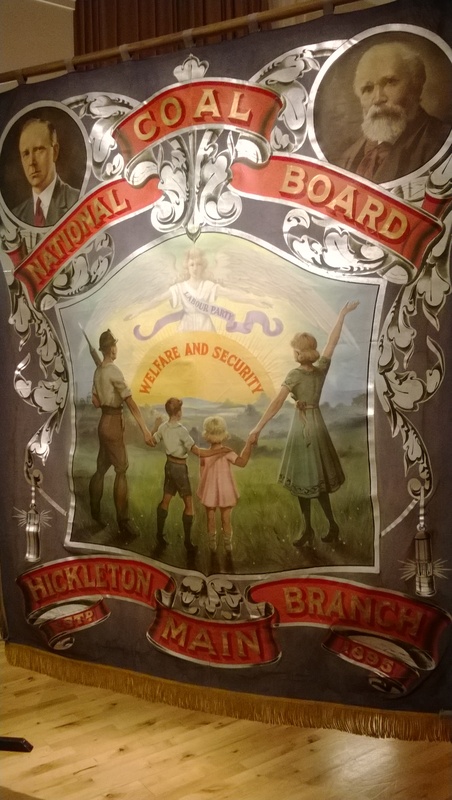 And in one of the newest banners, you can see that it looks like a photograph has been printed onto the banner and then painted over, giving off an image that looks almost photoreal. 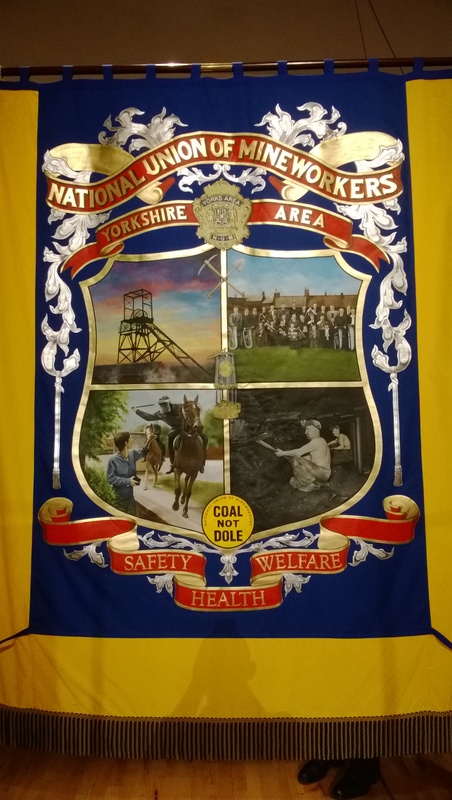 The NUM banners depicted the history and politics of the collieries and were a huge source of pride for NUM (National Union of Miners) members. 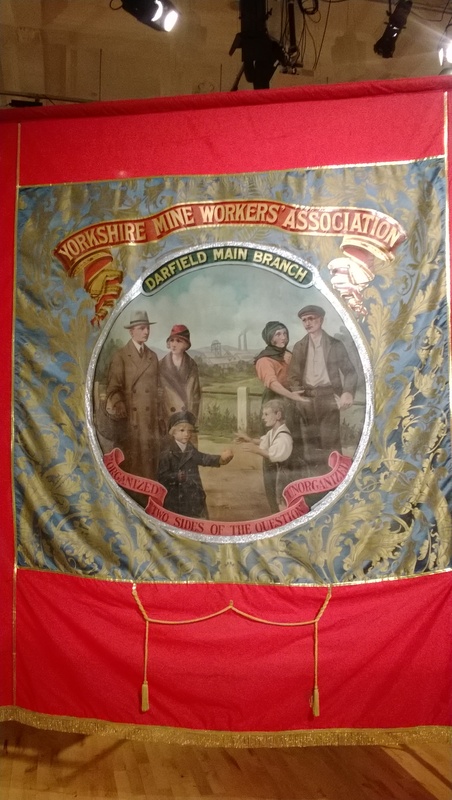 As well as at gala’s and rallies, banners were also prominently displayed during protest marches, including during the 1984-85 strike against pit closures. 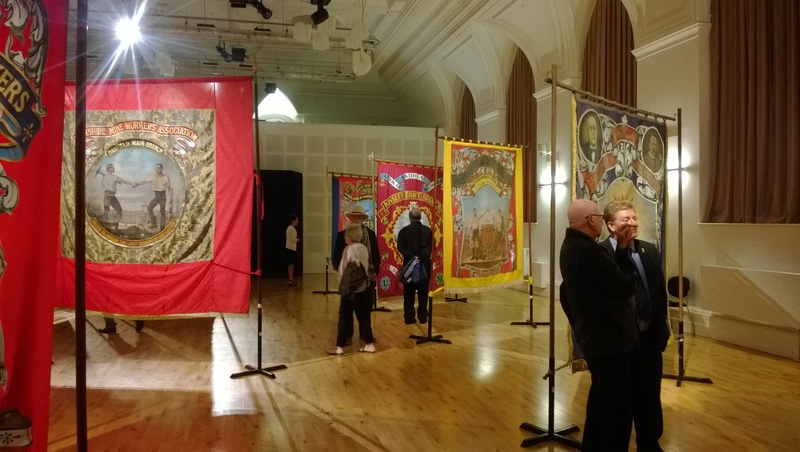 Details of the rest of the 30th Anniversary events are detailed here. 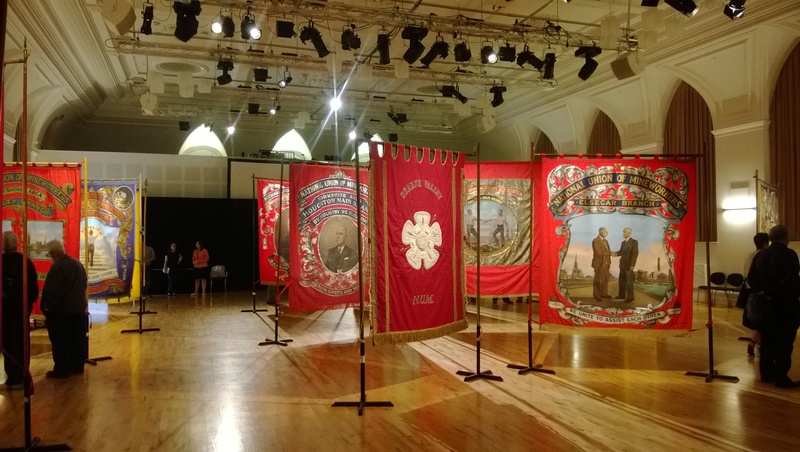 The exhibition runs from WED 27 AUG – SAT 6 SEP and is free entry. 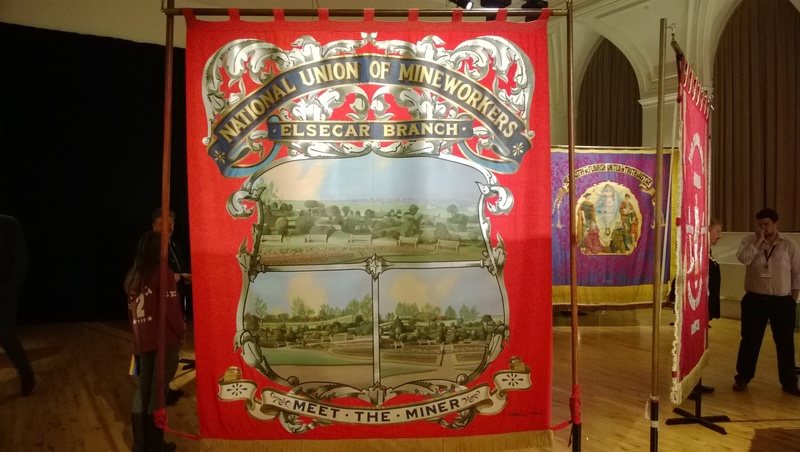 On the Panorama outside of the exhibition are a number of displays showing old mining photography and memorabilia, with local historians on hand throughout the exhibition period, to answer your questions. 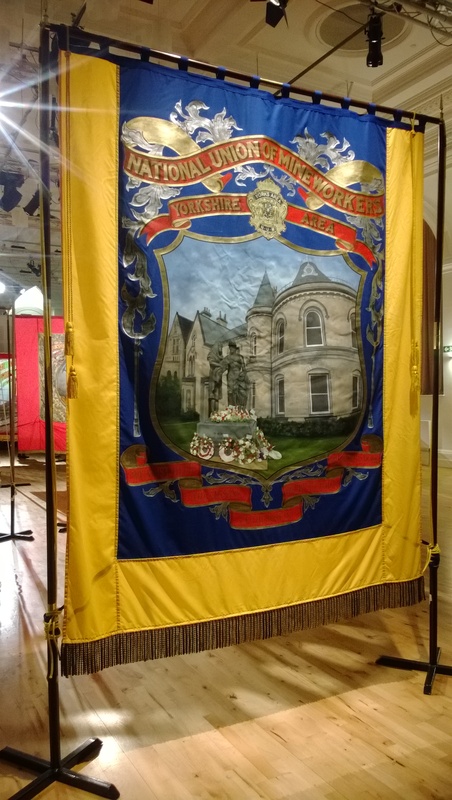 Thanks to everyone who visited the Banners` Exhibition & thanks to the Staff at the Civic,the lads from “People in Mining”(Barry,Frank,Bryan, Peter & Bill) plus the NUM lads for all their hard work in setting it up. Hope everyone enjoyed it ! !